The Canada Green Building Council in February issued a report that proves Zero Carbon Buildings offer meaningful greenhouse gas reductions and positive financial returns. Entitled “Making The Case For Building To Zero Carbon,” the report – a first of its kind in Canada – confirms that Zero Carbon Buildings are financially viable today with a positive financial return over a 25-year life-cycle. It also highlights that industry is at a tipping point: the business case for Zero Carbon Buildings is going to get stronger each year due to the rising cost of carbon pollution. The positive financial return is inclusive of carbon pollution pricing and requires only a modest capital cost premium at the outset. The CaGBC study provides a strong business case for property owner / operators to construct innovative green buildings today and reap financial benefits well into the future. There are also important financial benefits that were not quantified in the study, such as greater value to tenants, future-proofing against higher costs for utilities and carbon pollution, greater resiliency against future weather events, and avoiding costly future retrofits. “This study demonstrates the importance of using Zero Carbon Buildings as part of our toolbox to achieve a sustainable future,” says Michael Brooks, Chief Executive Officer of REALPAC, a national association dedicated to advancing Canada’s real property sector. 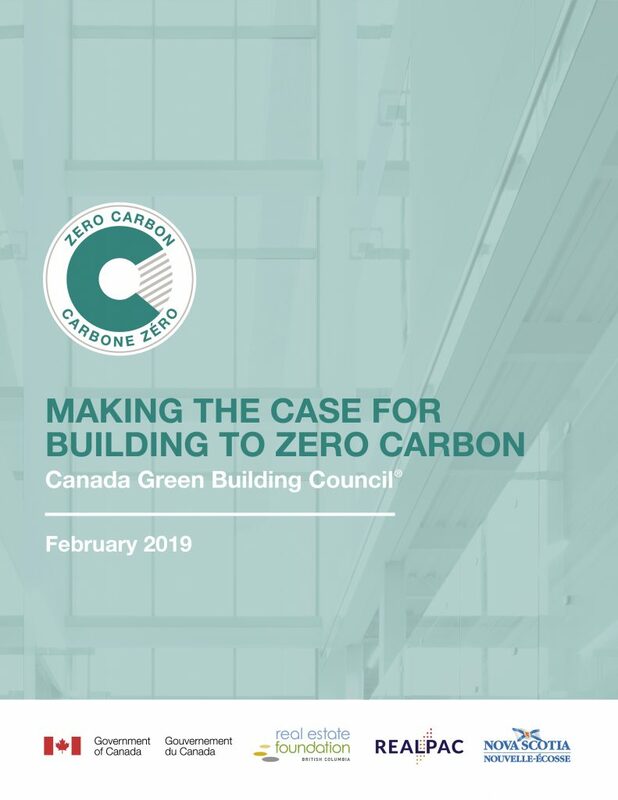 The CaGBC undertook this research to help support Canada’s climate commitments by demonstrating to the market that any type of building across Canada can be built to zero carbon without facing higher financial costs over the building’s lifecycle. The report applies carbon reduction measures to seven building types – low-rise office, mid-rise office, low-rise multi-unit residential, mid-rise multi-unit residential, primary school, big box retail and warehouse – in the cities of Vancouver, Calgary, Ottawa, Toronto, Montreal and Halifax. The report found that the business case for Zero Carbon Buildings differs relatively little nationwide, despite differences in construction and utility costs, climate, carbon intensity of electricity, and other factors. Each region has its advantages. The business case is strongest in Halifax due to the relatively high cost of natural gas and the high carbon intensity of Nova Scotia’s electricity grid. Over a twenty-five-year lifecycle, Zero Carbon Buildings in Halifax averaged a 4% higher return than conventional buildings built to the building code. In Montreal, Ottawa, Toronto and Calgary, the outcomes for Zero Carbon Buildings are economically strong with any upfront capital cost mitigated over the life-cycle by higher operating and emissions savings. Zero Carbon Buildings fell just short of breaking even in Vancouver as a result of applying a common set of carbon reduction measures across all the cities studied. Designing specifically for Vancouver’s milder climate would reduce capital investment and yield a positive lifecycle return. 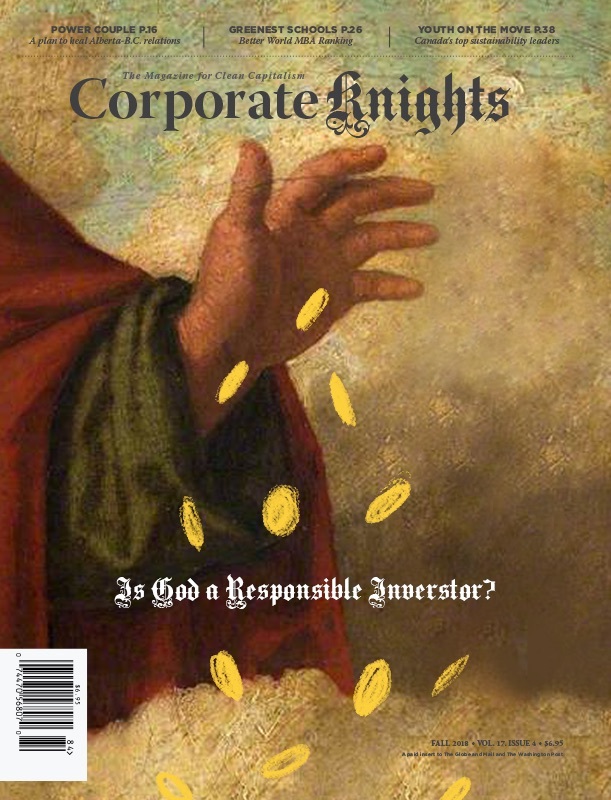 In looking at building types, the report found that mid-rise and low-rise offices offer the highest lifecycle returns at close to 3%, warehouses and big box retail facilities can yield returns above 1%, and multi-unit residential buildings and primary schools are cost neutral or nearly cost neutral. CaGBC’s innovative Zero Carbon Building Initiative is a real-life example of this research in action. The initiative, started in 2017, involves 16 projects in cities across Canada, which range from commercial offices and elementary schools to a warehouse and a firehall. These projects are each pursuing CaGBC’s Zero Carbon Building Standard. So far, evolv1 in Waterloo, Mohawk College in Hamilton, and École Curé-Paquin in Saint-Eustache, Quebec have achieved certification, providing examples for any building to reach zero-carbon and contribute to the clean growth economy. Zero Carbon Buildings are critical for Canada to support new economic growth and meet international emission reduction goals. In fact, the “Making the Case” report found that, by 2030, over four million tonnes of carbon dioxide equivalent emissions per year can be avoided cost-effectively if the seven building types studied in the report are built to be zero carbon. This represents over 22% of the 20 million tonnes of greenhouse gas reductions that the Pan-Canadian Framework recognizes as potential savings from the building sector. To learn more about Zero Carbon Buildings, and CaGBC’s standard, please visit the CaGBC website. The study was supported by the Government of Canada (Natural Resources Canada, The National Research Council, Public Services and Procurement Canada, and The Treasury Board of Canada Secretariat), the Real Property Association of Canada (REALPAC), the Government of Nova Scotia and the Real Estate Foundation of British Columbia. Mark Hutchinson is Vice President, Green Building Programs and Innovation at CaGBC.